The Chestnut Bay Active Rider Sunblocker Shortsleeve Shirt will have you staying cool and dry with this sporty technical top! Made in a lightweight 86% Polyester/12% Spandex fabric that is moisture wicking and breathable. 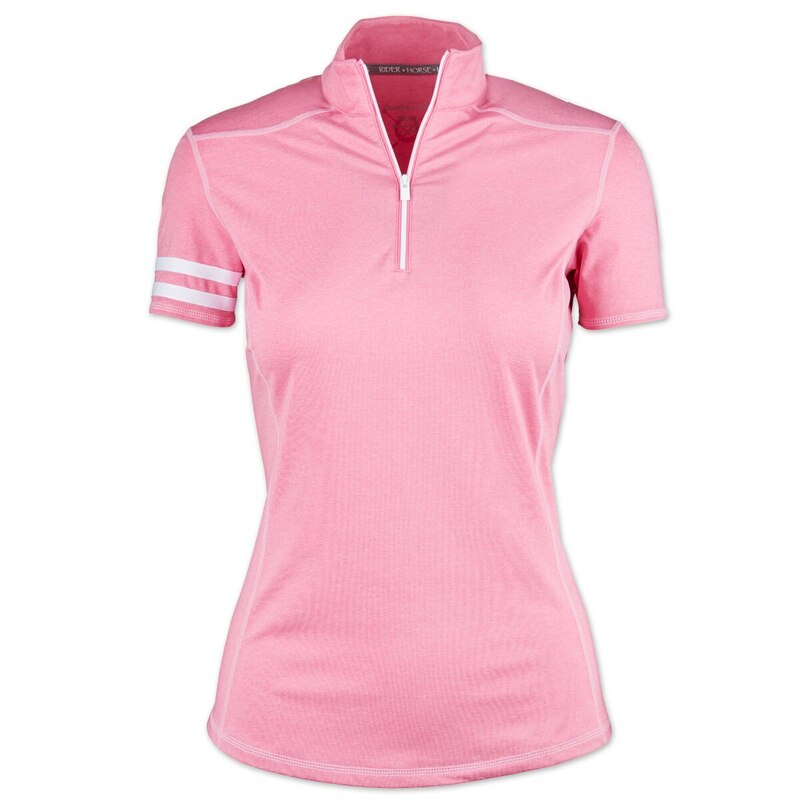 Great for working around the barn or in the saddle this shirt features a feminine silhouette that fits and flatters. 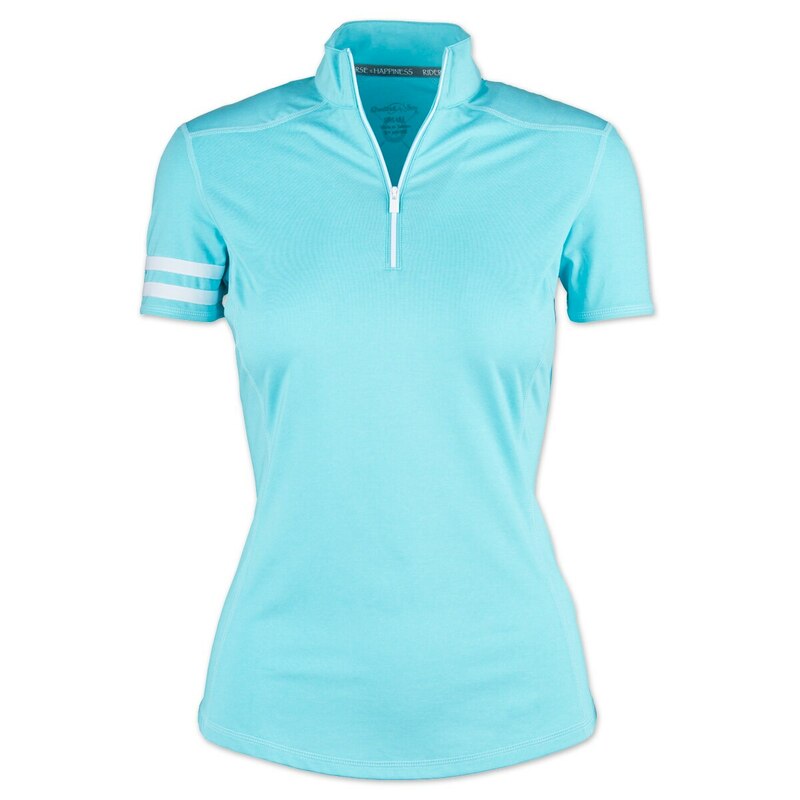 Features include ¼ zip style, contrast stitching and taping for a sporty look, curved hem that is slightly longer in the back for extra coverage, rider inspired neck tape and logo details for that added touch.